[prMac.com] Denver, Colorado - St. Clair Software is happy to announce the availability of Default Folder X version 5.3.3 today. This release of its award-winning utility for enhancing Open and Save dialogs improves usability with optional labels in its toolbar and drag-and-drop drawer. It also adds new keyboard shortcut options, supports the version of ForkLift available through SetApp, and corrects a number of interface and functional issues. Default Folder X's custom keyboard shortcuts put your favorite and recent folders at your fingertips. Pop-up menus let you quickly navigate your folders and open Finder windows. Previews, file information, Spotlight tagging and comments are there when you need them. 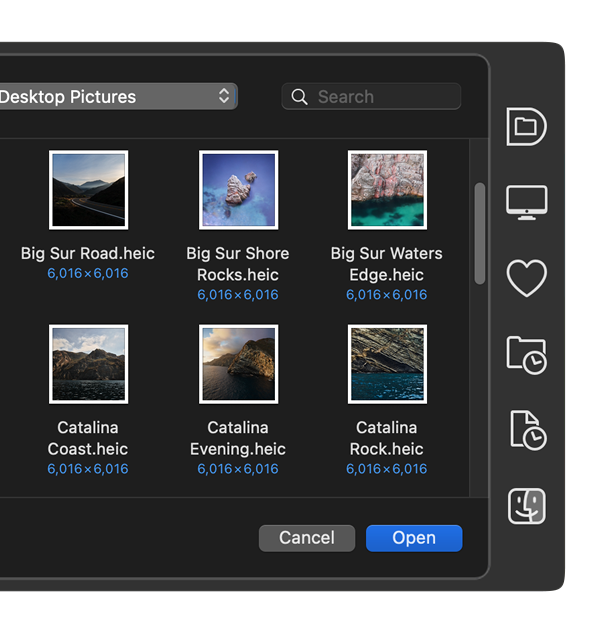 Open, save, and get back to work: Default Folder X speeds your workflow by making file management fast and efficient. For a complete change history, visit the URL listed below. Default Folder X 5.3.3 is a free update for existing version 5 users. New licenses are $34.95 (USD) and upgrades from version 4 and prior are $14.95. Please see the St. Clair Software web site for screencasts, screenshots, a full change log, and additional feature information. St. Clair Software strongly recommends that anyone using Default Folder X install this update. Based in Denver, Colorado, St. Clair Software is a privately held company that has been specializing in utilities and custom software solutions for the Macintosh since 1988. St. Clair Software can be contacted at: St. Clair Software, 271 S. Emerson Street, Denver, CO, USA 80209. Copyright (C) 1988-2019 St. Clair Software. All Rights Reserved. Apple, Macintosh, macOS and Finder are registered trademarks of Apple Inc. in the U.S. and/or other countries.